1.	Who, where and what to expect? Experience the most exciting trend in Paphos on a colourful Segway guided tour. Rated as the Best Activity to do in Paphos as per the Tripadvisor, Paphos Segway Tour is certainly going to leave you with a fascinating picture book of Paphos that will last for a lifetime!!! Paphos Segway Tour is among the first Segway tour companies to maintain a colourful fleet of both i2 and x2 Segways. Being colourful is part of our DNA as such feel free to mix and match with your attire, or choose a colour to stick out from the crowd. Just pick your favourite colour or the colour that suits your mood. For us being colourful is about having fun and enjoying every moment of life, and that is the reason why our slogan is “ Certified Fun “!. 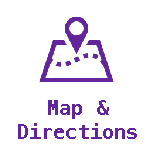 We are located at Apostolou Pavlou Avenue, just a few steps from Paphos Harbour magnificent shoreline, beautiful ancient sights, fine ancient architecture, walking and boat tours. We are centrally located and you’ll enjoy a fabulous way to see the city during your Segway experience in Paphos with us. As Paphos’s first and original guided colourful Segway Tour Company, your adventure begins by choosing the Segway colour of your choice followed up with instructional safety training. This is the most fun and informative thing to do in Paphos and we promise you that our tours will leave you with a fascinating picture book of Paphos that will last a lifetime!!! We operate 365 days a year (open all year long), so if you’re Segway or sightseeing activities bring you back to Paphos, contact us for a Segway On Demand™ or one of the many guided tours that are offered by Paphos Segway Tour. You can expect beautiful, sightseeing views while having fun. 2. What is a Segway? The Segway Personal Transporter (PT) is a one of a kind self balancing device designed to go anywhere people go. The transporter is amazingly easy to use and operate. The Segway PT has five gyroscopes that automatically react to your body’s movements, when it should speed up, slow down or stop. In August 2006 Segway Inc. unveiled the newest models: i2 and X2 with the innovative Leansteer™ technology and wireless InfoKey™. The new Segway models move in any direction that the rider leans into. The rider stands between the two wheels on a small platform while he/she holds onto a T- bar (handlebar). Segway PT’s operate along pedestrian pathways and walkways and do not require you to possess a license to ride one. They are safe and fun devices. Riding a Segway PT is the best way to get around town and see sights of interest. 3. What Segway models do PST offers for its tours? At Paphos Segway Tour we offer the latest in gliding technology. We offer the newest of Segway models the i2 and x2 PTs in a beautiful array of colours. Both models provide hours of fun filled sightseeing, seamless rides and the easiest method of riding that you have experienced. 4. How safe is it to ride a Segway? Segways are very safe to ride because of the high-technology that they have. Our thorough hands-on training, which you receive from our experienced, certified tour guides is enough to make you experts too and that makes you feel comfortable and knowledgeable about this unique device. Provided that you follow the tour guide instructions and you ride sensibly you will certainly have a safe and enjoyable glide. Adding to that our Segways are equipped with tail lights and we always provide helmets on our tours. Our routes are smooth and clear providing you with a seamless glide. 5. What if after training I cannot ride the Segway? Having years of experience performing Segway Tours and training people, we can assure you that this event is very unlikely. We give every single one of tour participants a thorough hands-on training session (even those who have experienced Segway before), and we insist in training our guests until every single one of them feels comfortable and confident on using these unique devices. As such, in our experience it is really rare that anyone cannot master the Segway after completing the training routine. In any case if any of our guests feel stressed or particularly worried, or decide that this activity is not for them, we don’t force them to participate and give them a full refund. 6. How do I book a Segway tour? You can reserve your Segway tour by calling us directly: +(357) 7000 7211 or by clicking here. A minimum of 24 hours notice is required. If you show up for an on the spot or a last minute tour, we cannot guarantee that we can accommodate you for a tour at that moment, so please call in advance and make your reservation. If you prefer to come in and book a reservation, we are located at Apostolou Pavlou Avenue just steps from Paphos Harbour (across main harbour bus station, and opposite Hondros Taverna Restaurant). 7. What is the process for my Segway tour? Once you have booked your tour and it has been confirmed, you will need to arrive at our store at the designated arrival time (at least 30 minutes in advance of departure) (See time table @ Tour Prices) Please be sure to bring the required forms of identification, Passport/ID and at least one major credit card (preferably the one you used to book the tour). 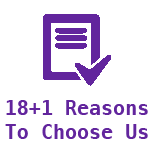 Other Segway tour companies require a pre-authorized deposit on the Segway you ride, and we do not. After you complete the forms, our certified tour guide will give you a thorough training until he sees that you are an expert (comfortable) like him. As soon as everyone is comfortable with the training you are ready to roll. 8. What should I bring with me? You should bring with you a camera and a small bottle of water. When it’s really hot out, we recommend an application of sunscreen on exposed parts of the body and a pair of sunglasses. During the cooler seasons it’s important to wear an extra layer of clothing and consider bringing gloves and a scarf, although Cyprus offers sunshine almost throughout the year. If it looks like rain we can provide you with a plastic rain poncho, or you can take advantage of our Rain Check policy and reschedule your tour. 9. What if I have booked a tour and it rains on that day? 10. Does Paphos Segway Tour offer gift certificates? Paphos Segway Tour offers gift certificates that make gift giving an extra special treat. Gift certificates may be purchased at anytime and have NO EXPIRATION DATE. Gift certificates are a great way of saying thank you to an employee, friend, or a family member. They also make great holiday gifts, birthday, anniversary, bachelor/bachelorette and charitable gifts. Paphos Segway Tour gift certificates may be redeemed for any one of our tours and accessories. 11. 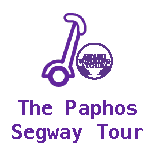 Does Paphos Segway Tour accommodate private/corporate/business events? Definitely YES! Paphos Segway Tour can accommodate a variety of special requests such as family reunions, birthday parties, out of town guests, corporate, conventions, festivals, parades, grand openings, or try a SEGVISION PROMOTIONS™ advertising campaign. We are more than pleased to implement any of your requirements that can be reasonably accommodated by SEGVISION PROMOTIONS™. Your imagination is our limit!!! 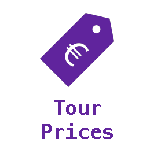 Please see our Private Tours and our Corporate Tours for more information. Riding a Segway is safe, even for children. However, we do require that all riders be at least 12 years of age. All riders under the age of 18 must be accompanied by an adult. 13. Can I use my cell phone during the tour? 14. Can I bring my camera with me? Certainly YES!!! We encourage all our guests to bring a camera with them. During the tour we will stop to some of the more spectacular and beautiful places in town. Part of what makes Paphos Segway Tour great is that we ensure that you will receive the most stunning photo opportunities and enjoy stops at the most beautiful and famous places you visit. 15. What kind of shoes should I wear? We recommend flat shoes, however any footwear rocking athletic shoes are prohibited, as are high heels. 16. Can I bring a purse? There is a small bag on your Segway in which you may store your personal items, including a small purse. However, a large purse could be a challenge. So, we recommend keeping your purse small or using a fanny pack. In any case you can store safely your personal belongings and bags in our premises until we return from the tour.